Immuron Limited (ASX:IMC | NASDAQ:IMRN) announced today its three US Defense Health funded research projects on Travelan have been successfully completed. The studies, commissioned by the US Department of Defense (DoD), were designed to evaluate Travelan’s ability to neutralise pathogenic bacteria of interest, including Campylobacter, ETEC and Shigella bacterial infections. Travelan was shown to bind and was reactive to all strains of bacteria tested. Now the company will progress with an evaluation of the therapeutic efficacy of Travelan in pre-clinical Shigellosis studies. “Travelan has been designed to target selected surface antigens from the most common strains of Enterotoxigenic E. coli (ETEC), bacteria which play a dominant and causative role in Travellers’ diarrhea,” Immuron CEO Dr Jerry Kanellos said. “The work completed at the US Armed Forces Research Institute of Medical Sciences, US Naval Medical Research Center and the Walter Reed Army Institute of Research has highlighted that in laboratory testing Travelan was effective across all strains and species of enteropathogenic bacteria tested. 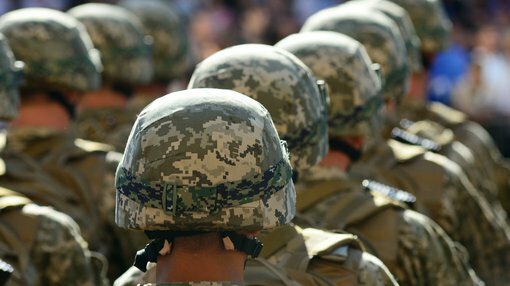 The studies so far — completed at US Armed Forces Research Institute of Medical Sciences (AFRIMS), US Naval Medical Research Center (NMRC) and the Walter Reed Army Institute of Research (WRAIR) — have highlighted that in laboratory testing Travelan was effective across all strains and species of enteropathogenic bacteria. AFRIMS Study demonstrated Travelan effectively reacted to 180 clinical isolates tested from personnel infected with Campylobacter, Enterotoxigenic Escherichia coli (ETEC) and Shigella. This first study involving Travelan® was performed at the Department of Enteric Diseases, Armed Forces Research Institute of Medical Sciences (AFRIMS). The findings of this comprehensive study were reported by the company in January 2018. - React with the major colonization factor antigens. - Bind to key fimbrial proteins which are used by the bacteria to attach to host cells and cause disease. - Inhibit the bacteria binding and causing cell hemagglutination. - React with the heat labile enterotoxin sub-unit B (LTB) produced by Vibrio spp. (the causative agent of cholera). WRAIR Study demonstrated Travelan bound to similar targets present on ETEC and Shigella bacteria. The Department of Enteric Infections, Bacterial Diseases Branch at the Walter Reed Army Institute of Research, assessed Travelan immune-reactivity with ETEC and Shigella antigens, which demonstrated they were reacting to common bacterial antigens. The global burden of diarrhoeal diseases like Shigella dwarfs any of the more complex diseases seen in gastroenterology clinics. There are an estimated 1.5 billion episodes of diarrhoea worldwide each year, and these episodes result in the deaths of approximately 2.2 million people — mostly children in developing countries. Shigella in particular is estimated to cause 80–165 million cases of disease worldwide, resulting in 600,000 deaths annually — and is particularly prevalent in both sub-Saharan Africa and South Asia. For the US DoD, a preventative treatment that protects against enteric diseases, specifically Shigella, is a high priority objective, particularly with its strong presence in south-east Asia. IMC has proprietary vaccines it uses to immunise cows which target specific bacteria, toxins or spores — so when it comes to calving time, the end result is colostrum that is full of antibodies it needs to make its specific, targeted products. To follow these successful studies, IMC is now pursuing a research agreement with the CSIRO to develop Shigella specific anti-microbial therapeutics for preclinical evaluation. The company has also just submitted a grant funding proposal for the development of a therapeutic product against campylobacter and other enteric pathogens, jointly with the campylobacter research team at the NMRC.